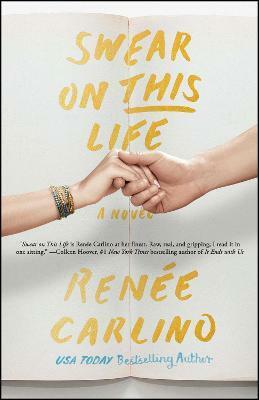 From bestselling author Renee Carlino, a warm and witty novel about a struggling writer who must come to grips with her past, present, and future after she discovers that she's the inspiration for a pseudonymously published bestselling novel. When a bestselling debut novel from mysterious author J. Colby becomes the literary event of the year, Emiline reads it reluctantly. As an adjunct writing instructor at UC San Diego with her own stalled literary career and a bumpy long-term relationship, Emiline isn't thrilled to celebrate the accomplishments of a young and gifted writer. That's because the novel is patterned on Emiline's own dark and desperate childhood, which means that "J. Colby" must be Jase: the best friend and first love she hasn't seen in over a decade. Far from being flattered that he wrote the novel from her perspective, Emiline is furious that he co-opted her painful past and took some dramatic creative liberties with the ending. The only way she can put her mind at ease is to find and confront "J. Colby," but is she prepared to learn the truth behind the fiction?